Similar to local prohibitions, the state bill, authored by Democrat Alex Padilla of Pacoima, would have outlawed the use of plastic bags for supermarkets and drugstores. Some supporting senators said passage of the proposal would help foster “good habits” among Californians. A handful of Democrats opposed the bill, claiming their constituents need the bags for re-use, and GOP lawmakers suggested there were more important issues with which to deal. Padilla said he won’t stop his quest for a bag-less society. “I think there is an education campaign necessary,” Padilla remarked after the final 18-17 vote on his bill. I tried to get used to the idea of carrying bags into a store. But I just can’t remember to do it. Finally I thought…you buy 30, 40, 50 dollars of groceries, 20 cents for the bags is no big deal. Why fight it. Now I just tell the clerk, “I need a bag or two”. Boom. Problem solved. No guilt. Just don’t pick up those brown paper bags by the handles. People on food stamps (SNAP), WIC, still get their paper or plastic bags free. We pay for their bags though our taxes supporting these programs. 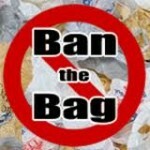 It’s not just some politicians who pushed the bag ban. After all, who has made lots of money since SLO County implemented its idiotic plastic bag ban: the grocery stores! Originally, the argument was “we’re just going to charge you for something that has been free.” The truth, however, is that they’re charging MORE for bags than what they actually cost. No wonder not ONE grocery store came out against the proposed bag ban last year. I’d guess WalMart, Albertsons, Food4Less, etc. pay about 2 or 3 cents per bag yet the County makes them charge 10 cents. Of course the stores don’t mind; they keep the extra profit! I refuse to EVER buy a paper bag in SLO County. If I forget a bag, I just tote the stuff to my car. Actually Food 4 Less DID oppose the ban. They were quite outspoken about it too. Thanks for clarifying that; I didn’t realize Food 4 Less spoke up. I appreciate the info. And of course as we were told, since the stores no longer have to provide the plastic bags for free and recoup those costs in their prices, the prices have all come down, right? Not ant my stores. Who in the world told you THAT? Did you actually believe them at the time? I think the best you should have hoped for is that prices would not rise quite as quickly, but because we’re talking just a few cents, I can’t imagine any rational, thoughtful person expecting to be able to see any obvious connection between the bag ban and average prices during a trip to the grocery store or wherever. Surely you are not serious, are you? You can’t have been THAT naive were you? WiserGuy, you are apparently NOT a fan of free market capitalism. If the costs of doing business fall industry–wide (as has happened when stores no longer have to provide free bags), then the prices WILL drop. Sure, some stores will choose not to lower their prices, but others will take advantage of lower costs and will drop theirs. Not doing so would be foolish in a competitive market. The way you are talking, you sound like a communist who hates businesses. Take an economics class sometime – it might open your mind. So, you are saying you are against a store making a profit on items it sells? Why is that? How does that make sense? Yeah, all stores should only be allowed to make enough money to pay for their inventory plus what they pay their employees! Profits are evil! No one should be allowed profits! Let’s be a “break even” society. You people are watching the wrong hand. Since this IS San Luis Obispo, I am not sure if you are serious or jesting. Profits are just another achievement, and achievement is motivation to a great many people. Take away profit and you take away a large chunk of motivation… take away the motivation, and well, say goodbye to any and all advancements, breakthroughs, and “progress” (ironic how progressives are often against that which progresses). The $0.10 per bag isn’t about the cost of the bag. It’s designed to motivate people to bring their own reusable bags. If they just gave away paper bags, then there would be no motivation to bring your own. Tax the things you DON’T want people to do and provide incentive for the things you DO want people to do. Think of it as a $0.10 tax. ok, now that works, and HD self checkout machines are sometines picking about bringing your own bag!